Back in 2006 we were just a bunch of uni friends who wanted to go sailing and explore far and wide. Today, we’re still that same bunch of friends, only now there are 70,000 of us. And our loving family just keeps getting bigger. We have forged a community from adventurous spirits, vast open waters, and a host of musicians, collaborators, sailors and revellers. William met Erik while skippering for Navigare Yachting. The duo soon realised they could do the same on their own and revolutionise sailing. 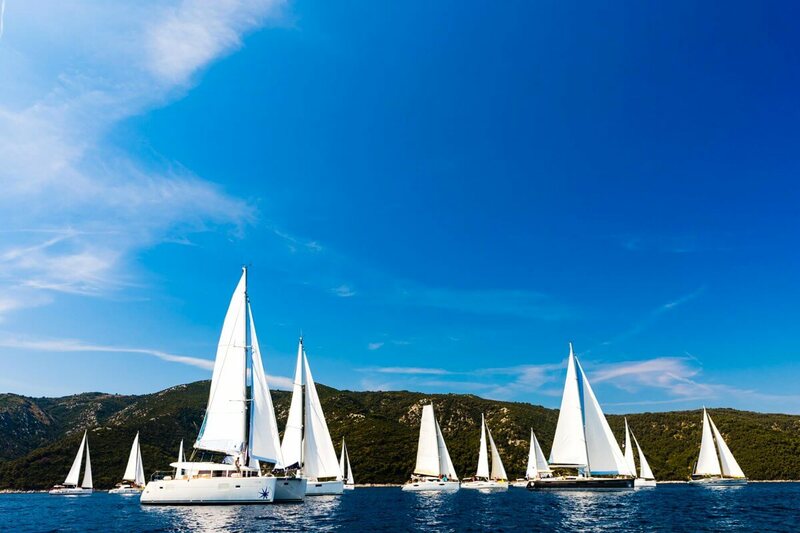 ‘Sailin’ Croatia’ was born: 27 yachts to the Swedish fleet. Then Facebook happened. Norway got wind of it all, another 30 yachts were added to the mix. The Ski Week is a series of week-long boutique ski festivals which take place in handpicked mountain towns across the world. From open-air après-ski parties to morning snow yoga, every element of skiing is celebrated by a melting-pot of mixed internationals. Day 8 is the community where the memories and friendships from The Yacht Week and The Ski Week live on. It's a place for sharing travel recommendations, organising reunions and getting inspired to see, do and experience new things. The end of your week is just the beginning. Launched out of the simple understanding that friendly, high-quality service aboard a yacht is key to any successful trip at sea. Quarterdeck offers a new, dynamic way of training maritime staff, one that is current and industry relevant. Quarterdeck train all The Yacht Week Skippers & Hosts to ensure they are of the highest standard for our guests. Their mission: to empower the tourism industry to protect the marine environment and its biodiversity. We are currently working with Sea Going Green to try and alleviate the negative impacts we may have on the beautiful marine environments we visit. We, like them, want to embed a culture of respect for the integrity of the ocean within our community.